Gold foil, debossed, embossed and etc. 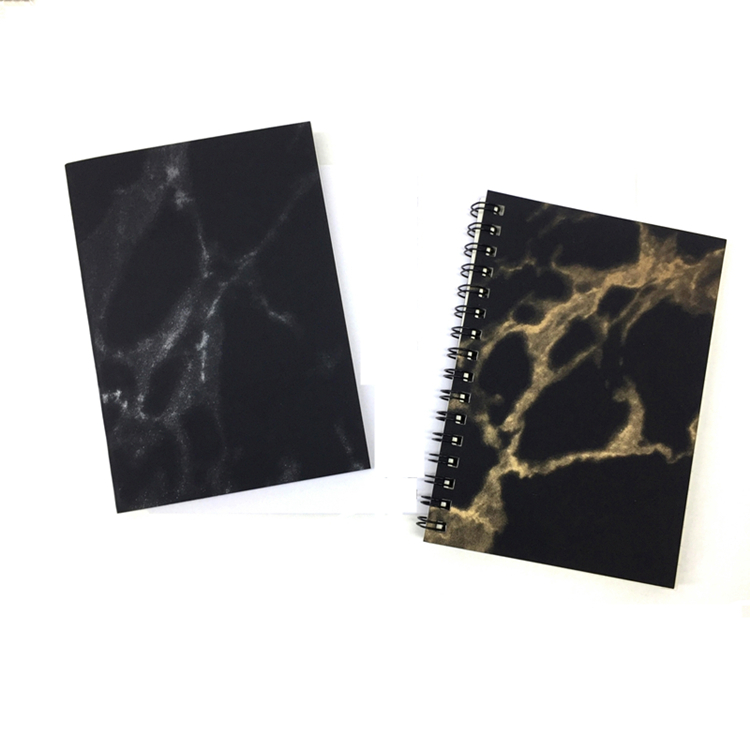 We are a manufacturer with more than 20 years in producing these kind of notebooks. Is custom order acceptable? 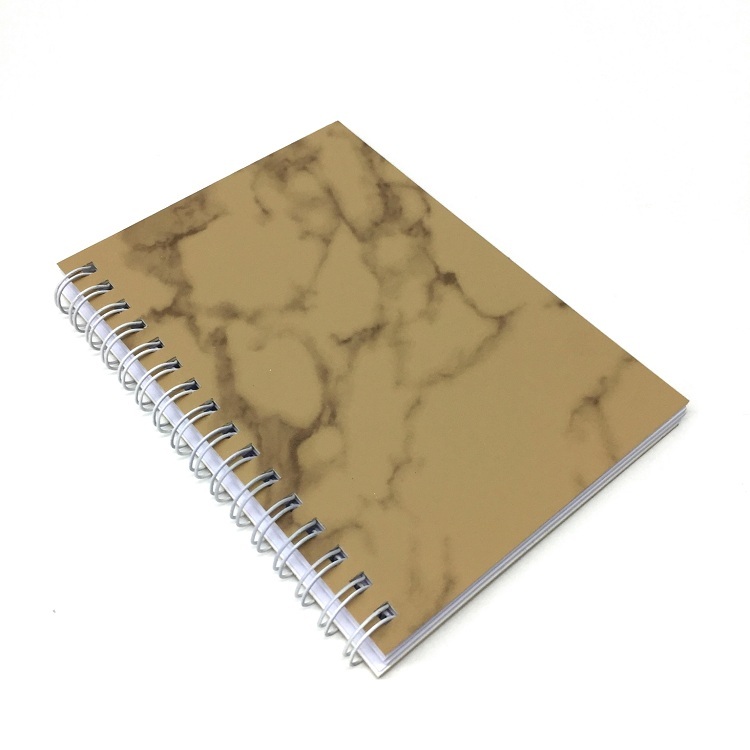 Yes, custom order (custom size, printing, inner pages, binding way and etc.) is welcome if order more than 500pcs. What's the size of this book? Different size for choice. A4, A5, A6, Custom size and etc. 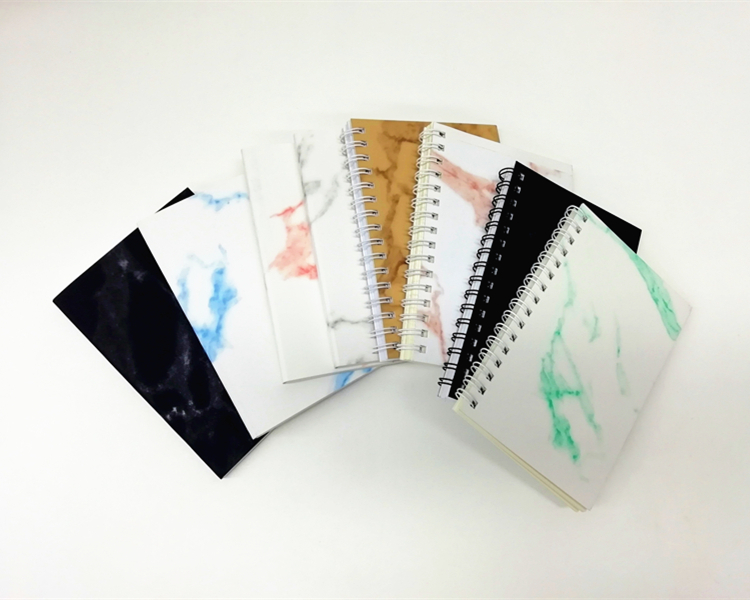 A6 is pocket notebook , more convenient to carry, a better choice for traveler's. What's the binding way? 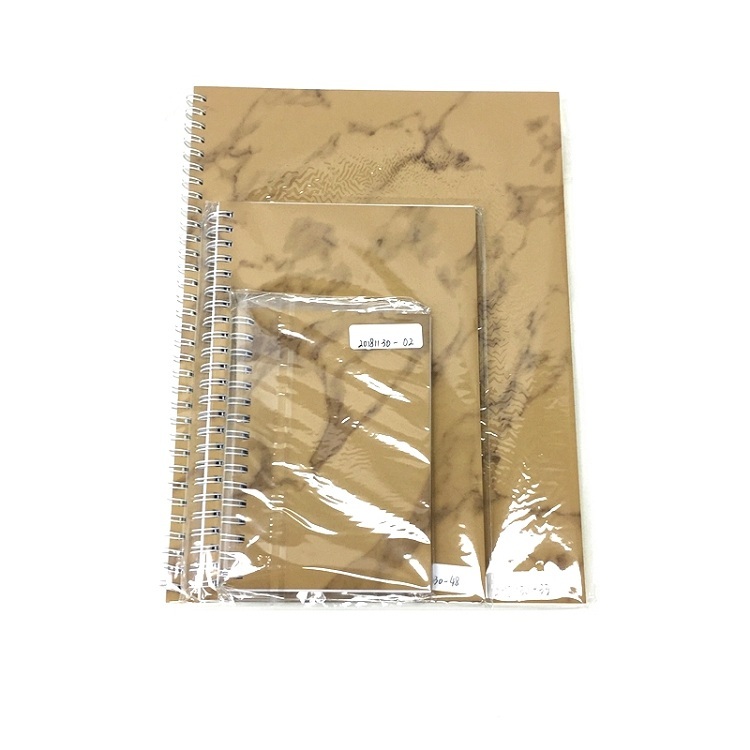 They are in spiral binding, people can peel off the inside pages but the books is also impregnable. What's the qty of inner pages? Basing on our rich expecience, 40-80 sheets is reasonable. Btw, 56 sheets is one of our most popular quantity. Are the inner pages comes with perforated? Nope, they are regular design, so that the pages are not easy to be torn when people truing pages. Are they round or straight conners? Round or straight is no problem for us to make, and it make no big difference on price, it depends on customer's idea. 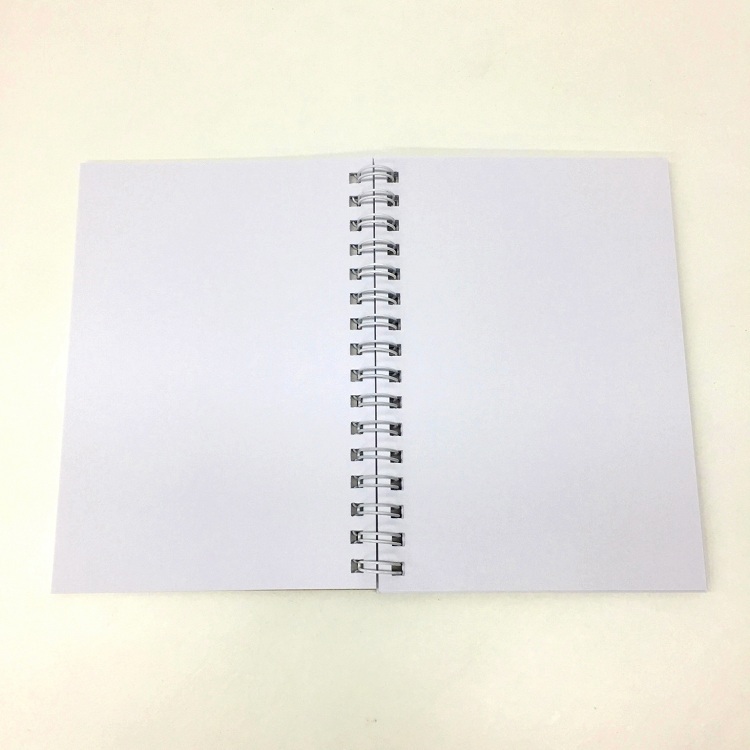 We have blank, ruled, dot, grid pages for your choice. Blank pages: Better for drawing sketching. 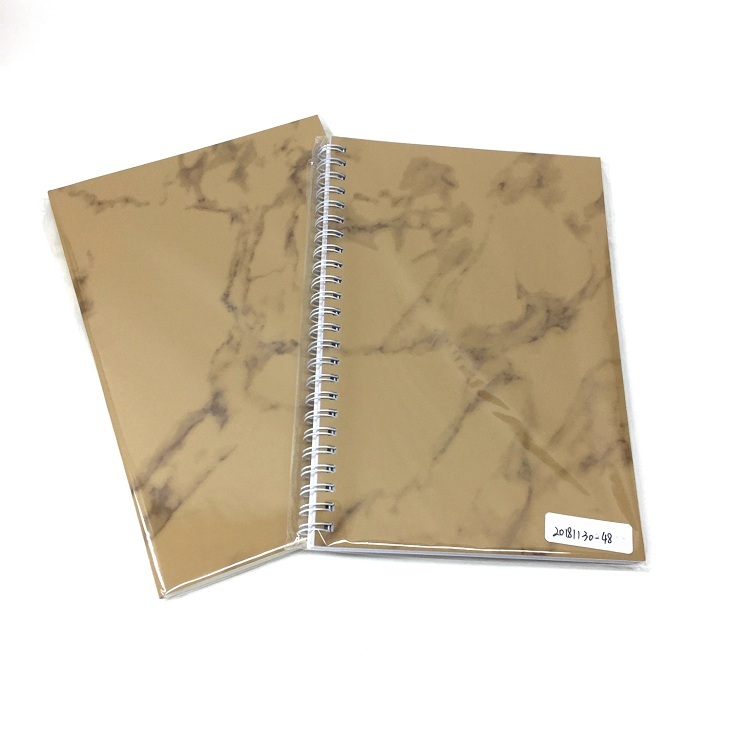 Ruled pages: It's the most normally design, good for wirting. Grid / dotted pages: People can use these for their travelers notebook, and the grid dot print is very useful as a guide for their writing. What's the thickness of inner pages, will they good for ink pens? Normally it's 80 grams, it's good for ordinary pen or pencial. If for ink pen, 100 grams would be more suitable.